Peru is an amazing country. It is one of the most visited countries in South America. I was there back in 2008. Since we were traveling from Brazil to Peru, we were already acclimatized and did not need to take acclimatization days. We traveled to Machu Picchu, El Misti in Arequipa, Lima, Lake Titicaca, and hiked on the Salkantey Trek in over 10 days. In my research and from talking to other travelers, I did come across many people that visited Huascaran National Park, Nazca, Huacachina Desert Oasis, and Colca Canyon. No itinerary in Peru is complete without a stop at Machu Picchu. Machu Picchu is a 15th century Inca site that is nearly 8,000 ft. high. Machu Picchu is an amazing place to see. 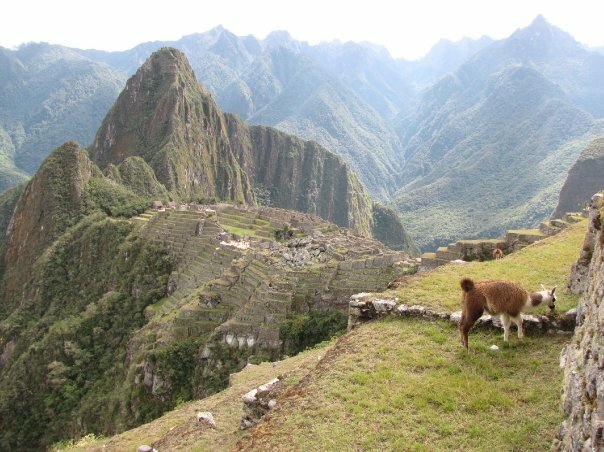 The trek to Machu Picchu whether the Inca trail or Salkantey trek is one of the main highlights in visiting Machu Picchu. Outside of the trek, it is imperative that you hike to the top of Huayna Picchu to get the most amazing view of Machu Picchu. (details later about hike). You should definitely make a point to arrive when the gate opens to not only hike up Huayna Picchu (details later), but also to enjoy the site without the hordes of people that arrive at 10:00 am from Cuzco. We hiked around the site ourselves, but it is fairly easy to hire a guide to tell you about the attractions. 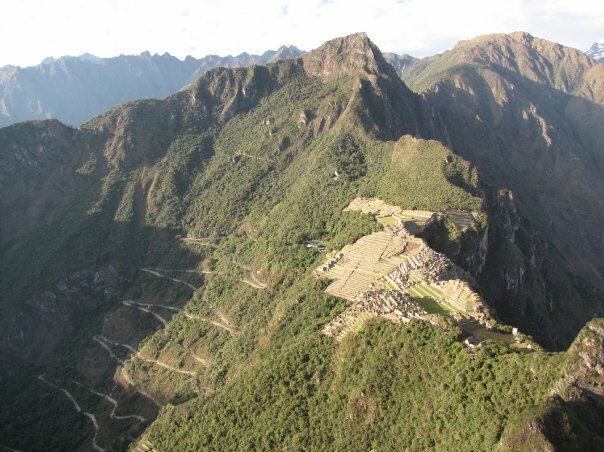 The most desired method to take to get to Machu Picchu is via the Inca trail. If you want to book a trip on the Inca trail, you must do it as early as possible. It is especially necessary if you plan to travel in June and August. The recommendation is that you book at least 5 to 6 months in advance. There are 500 permits a day for trekkers, guides, and porters. The Inca Trail is a 4 day trip. There is also a shorter version that is 1 or 2 days. 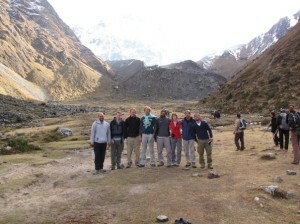 You will need to go with a tour agency or hire official guide to go on the Inca Trail. When I visited Machu Picchu, it was NOT possible to get a permit to hike on the Inca trail. I ended up seeking an alternative. 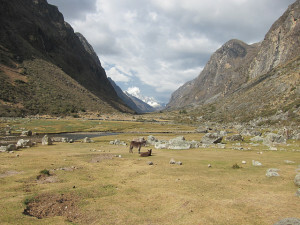 If you can’t book the Inca Trail, the best alternative is to do the Salkantey Trek. The Salkantey trek does not finish in Machu Picchu. It finishes at a rail station where the train takes you to Aqua Calientes. The vistas in the Salkantey Trek are amazing. The Salkantey trek is a 5 day / 4 night trek. While we hiked with a group of 10 people, we were largely on our own. The guide would tell us to meet at a particular location, and we could either hike with him or go on our own. We would camp at the end of each night. The trail is well marked and could fairly easily be hiked without a guide. Tip: We booked this trek in Cuzco and saved a lot of money. It was much cheaper than booking from the US. We only had this luxury because we were going on the Salkantey trek. The Inca trail was sold out. Both the Salkantey and Inca trails reach points above 4,000 meters. As a result, it is important that you spend a couple of days acclimatizing in Cuzco or Lake Titicaca. How to hike to top of Huayna Picchu? Huayna Picchu is the iconic mountain that you see in every picture of Machu Picchu. They only allow 400 people up the mountain each day. You need to arrive early to assure yourself a spot. In order to secure a spot, you need to hike from Aqua Calientes to the entrance of the park since the first buses do not leave until 6:00 am. If you are lucky and on the first bus, you might make it to the top, but I would not recommend it. Most blogs will mention leaving at 4:00 am to be in the top 400. I think that is fairly accurate. We left at 3:00 am and ended up being #3 in the line. With that said, we did probably pass 30+ people on the hike up the mountain. There are other people making the early morning trek so you don’t need to be nervous. Even if you are in first 400 outside the entrance, this does not secure your spot. You actually get the tickets to Huayna Picchu at the Huayna Picchu entrance, which is at the opposite side of the historical site. After you purchase your ticket to Machu Picchu, you need to run across the historical site to reach the Huayna Picchu entrance where you are given a ticket. At this point, you can either wait in line until 7:00 am when the Huayna Picchu entrance opens or walk around Machu Picchu. You don’t need to wait in the line. Since we were near the front of the line, we decided to wait. We were glad that we did because we ended up having 15 – 20 minutes at the top of Huayna Picchu with only a couple of other people there. Our assumption is that it gets kind of crowded at the top if you wait a little bit later. If I was #50 or over in line, it is probably best to hike around Machu Picchu first and then go up the mountain. You really want to maximize your time at Machu Picchu without the hordes of other travelers. Your memories and pictures will thank you for getting up early. The hike up and down probably took 1.5 hours. We left Machu Picchu around 10:30 just as the buses were arriving. The criss crossing line is the road. There is a staircase that goes straight up. The entrance to Machu Picchu is on the life side of the historical site. Cuzco is an amazing town. There are a lot of backpackers in Cuzco. You have the opportunity to visit other Inca attractions in the Sacred Valley. Cuzco is a great place to acclimatize. 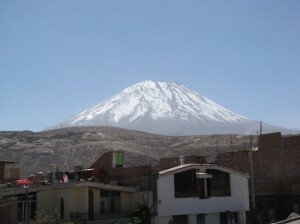 Arequipa is a large city in Peru. 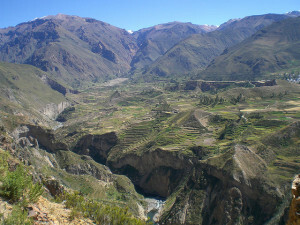 There are numerous activities in the area, but Colca Canyon and El Misti are the two most famous. It is most famous for the Colca Canyon, which has twice the depth of the Grand Canyon at 13,650 ft. It is supposedly the third most visited attraction in Peru. You can hike in the canyon, go whitewater rafting, and/or spot the Andean condors. Given our limited time, we decided to skip the Colca Canyon and decided to hike El Misti. 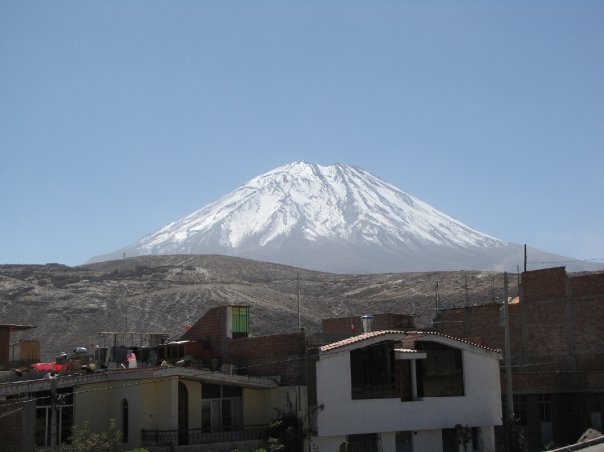 El Misti is a stratovolcano that stands at 5,822 meters or 19,101 feet. The hike takes 2 days / 1 night. It is a very steep climb to the summit. There are no porters. You need to carry everything yourself to the top. It costs only about $40 per person for guide and equipment. Car drops you off at 3,800 meters. You camp at 4,600 meters and then go up and back to base in the next day. You go from the summit to the base of the volcano in probably half hour as your race down the scree. It is quite fun. While it is best to visit Lake Titicaca on the Bolivian side, you can visit Lake Titicaca at Puno. 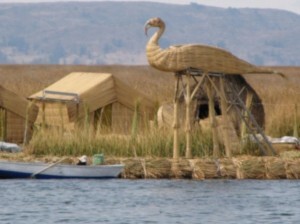 You go out to the Uros Islands, which are pretty amazing. Given our limited time, we only visited Lake Titicaca for a couple of hours. You can read more about my experience at Lake Titicaca in my Boliva post. 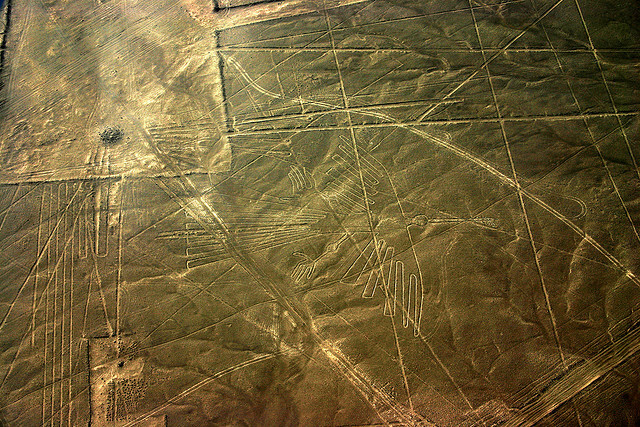 Nazca lines are ancient geoglyphs located in the Nazca Desert. You best advantage point to see the line is from the sky, which will cost you $100+. If you are on limited time, you might want to skip this attraction. 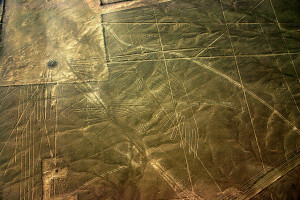 If you do visit the Nazca lines, you should also make a point to see the Huacachina Desert Oasis near Ica. Huascaran National Park is national park in the Cordillera Blanca portion of the Andes. The most famous trail is the Santa Cruz trail, which is a 50 km trail (aka 30 miles) that takes 4 days. To reach the park, you are talking a 5 hour+ drive or a short flight. You can see from this itinerary that if you only have a week in Peru and want to see Machu Picchu that it will be the only thing that you will see. If you are doing the Salkantey trek, you will not finish Machu Picchu until Day 8. 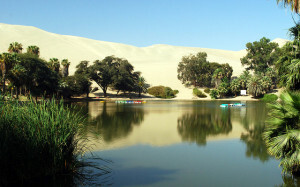 There is a lot to do in Peru, and I think it would take 3 weeks to see all of the main attractions. You can skip any of these attractions to make it a more relaxed trip. The distances are far between locations making a flight the best options. You can take night buses if you want to save some money.